Arthur Baker was born in Boston, Massachusetts, on April 22, 1955. During the Seventies he started working as a DJ in the Boston area. In 1981, he moved to New York, where he continued to work as a DJ, while also moving into production. He produced amongst others Afrika Bambaataa and Planet Patrol. 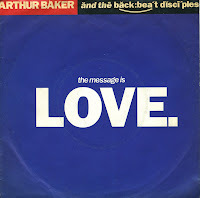 In the late Eighties and early Nineties, Baker worked with soul star Al Green, writing and producing the international hit 'The message is love'. The single reached number 8 in the Dutch Top 40 and number 38 in the UK singles chart. Jackie DeShannon, Randy Myers and Jimmy Holiday composed 'Put a little love in your heart' in 1968. DeShannon recorded the track, and had a number 4 hit with it in the USA. 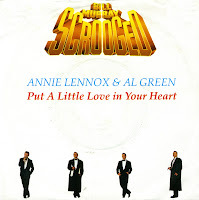 Twenty years later, Annie Lennox and Al Green recorded a cover version of the track, which was used in the 1988 movie 'Scrooged', starring Bill Murray. The song reached number 9 in the USA, number 13 in the Netherlands and was a top 40 hit in several countries worldwide.